WITH homelessness a real issue here in the Noosa community, council is looking at ways to provide help to those in need. Councillor Jess Glasgow hopes to build some momentum and support among locals to get a community program off the ground. "We could start up a soup kitchen-style place for the people who are sleeping rough,” Cr Glasgow said. A similar program was started in Melbourne where a pop-up homeless shelter was set up in an old nursing home. Cr Glasgow believes a council program here could offer much-needed help. He, along with council, is looking at a number of vacant premises across the region that could be used to facilitate the program. "Council's Alan Rogers and Kim Rawlings are on board and we will need community support to get behind it,” Cr Glasgow said. Cr Glasgow said people need to be willing to be involved and open their eyes to homelessness and those doing it tough. "These people are very resilient and not the stereotypical,” he said. To register interest to help Council kick-start this program contact jess.glasgow@noosa.qld.gov.au. Meanwhile, a snapshot of the recent 2016 census report has given insight into homelessness in Noosa Shire. According to the ABS Census of Population and Housing: Estimating homelessness, 2016, there were apparently 110 homeless people in Noosa Shire, being a rate of 19.4 per 10,000 persons. Within the shire the highest rate was Noosa hinterland with 68 people, or 31.4 per 10,000. For comparison, the rate for the whole state is 45.6 per 10,000 persons. 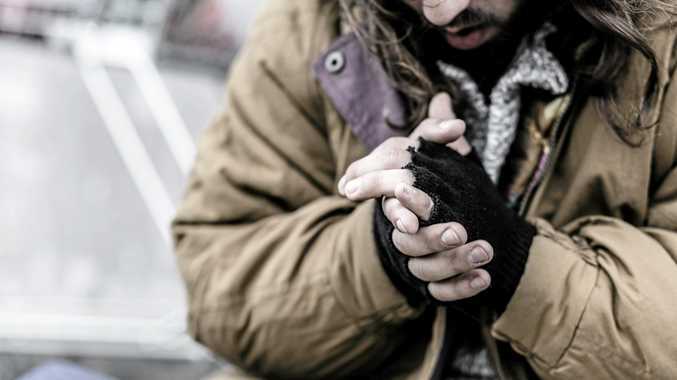 Homelessness Australia identifies a number of contributing factors including, housing affordability and availability, domestic or family violence, unemployment or financial crisis and mental or physiological illness. It can also be difficult for living in inter-generation poverty or exiting state care or prison. Across the wider region, Sunshine Coast Council has also put together a homelessness directory to help people in need on the Coast.